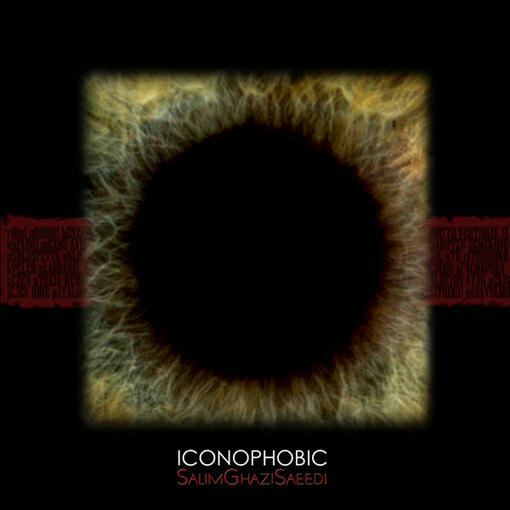 Salim Ghazi Saeedi - "Iconophobic"
Instrumental progressive rock from Iran, Salim Ghazi Saeedi is an Iranian composer who also plays the instruments, records and mixes them, designs the artwork, publishes and promotes the CD's and designs/handles the website. COMPOSER'S LAUGHTER: So far so good, odd symphonic music, now a clock ticking. A SATIRE ON HELL: Circus music with drums, yes, what does it all mean? In the liner notes Salim explains "Philosophy... refers to incessant posing of questions that have no answers."... but there is some wacky Zappa-esque guitar. AND MY HEART ACHES LIKE 100 ACHING HEARTS: Funky pop soundtrack music, pleasant and interesting so far. ASIYEH: Guitar song, some nice playing and production, it's hard to categorize this music, it sounds somewhat dated like from the late 80's/early 90's but also sounds kind of original. THE SONGFUL SONG OF SONGBIRDS: It's obvious Salim has a good sense of humour with these titles... cool murky sound... how can I say anything bad about Iranian rock?!?! Actually this is my favorite track so far!! TRANSCEND ECSTASY WITH ECSTASY: Some funky techno muzik, kind of a cool track, not the Zappa guitar so much! DON'T YOU SEE THE CHEERFUL RAINBOW: Back to the nutty zany Zappa sound, not really my thing... now the phone ring, this is soooo Kraazzyy!! MUSIC IS HARAM: Doomy techno rock, not bad, kinda cool. DANCE IN SOLITUDE: More pleasantness, this is probably very different for Iran?!? GIVE MY CHILDREN BACK: Now there's someone knocking at the door, pretty crazy or pretty scary!!!??! BREAST-MILK: Yeah, breast milk music, about time! Groovy keys and drum machine! Promising, if Salim keeps developing along these lines he could really do something. I AM BEAUTIFUL, ARE YOU BEAUTIFUL? : Why yes I am Salim and thanks for asking.